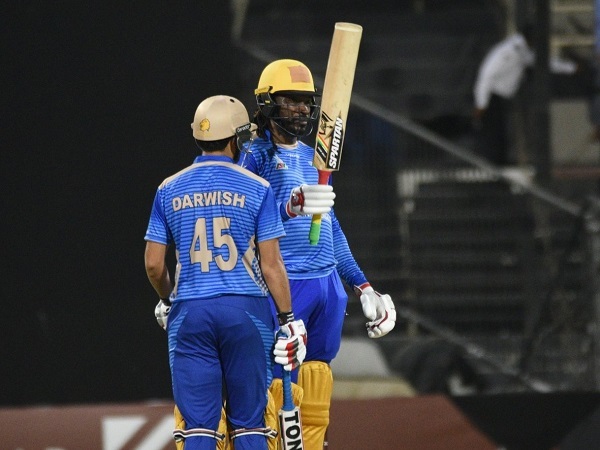 Half centuries from Chris Gayle and Darwish Rasooli have taken Balkh Legends into the final of inaugural Afghanistan Premier League season. Rasooli was the leading run scorer for Legends in the first semi-final match as he made 78 in 45 balls while Gayle hit 54 in 30 balls. 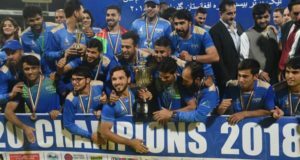 Apart from these two, skipper Mohammed Nabi played a crucial and quick firing innings of 47 in just 16 balls to take Balkh Legends total to 235 runs for the loss of 5 wickets in 20 overs. He wracked 5 sixes and 2 fours in the blasting innings. Colin Munro also contributed 33 in 22 balls. In this rock chase, Nangarhar Leopards couldn’t manage to play even 20 overs and who team got all out on 64 in 13.1 overs. No batsman was able to score even 15 runs. Balkh captain Nabi took 4 crucial wickets in the Leopards innings. For his all-rounding performance, he was awarded player of the match. 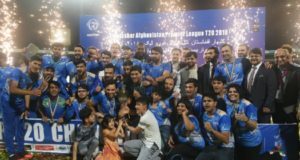 Balkh Legends beat Nangarhar Leopards in the first semi-final match of 2018 Afghanistan Premier League to get into the final which is scheduled for 21 October.